How missing indexes tore down the systems at the IT University of Copenhagen, by Kennie Nybo Pontoppidan. This is a really good point as sometimes small (or not so small) details can compromise our systems. We tend to think of indexes as performance tuning solution, but if our databases don’t perform we can take applications down or just get angry users, not sure which is worse. Lessons learned the hard way, by Denis Gobo. Wow, what can I say? it’s clear the more experience you get, the more of these you’ve seen along the way. Great real life examples that can make you sweat. Learning the hard way – referenced objects or actual objects, by Rob Farley. A classic, you’re never too cautious whet it comes to deleting data. Deleting production data make your stomach burns! Lessons Learned the Hard Way, by Andy Levy. 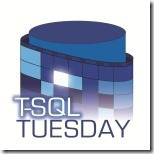 Not every under performing SQL Server is because of bad TSQL or bad database design, especially in virtual environments, good to remember that. My Most Embarrassing SQL Moment by Bert Wagner. When you are to meet the DBA in a new job, break the ice with some coffee, don’t break the database! Lessons Learned the Hard Way by Aaron Bertrand. Good tip for fast paced environments, where all is in a bit of a rush. Save and save often by Kenneth Fisher. Wise advise, I failed on this miserably many times, thankfully now I got SQL Prompt to do it for me! Think twice before using table variables, by Matthew McGiffen. This can’t be stressed enough so it’s always a very useful reminder. Lessons Learned The Hard Way, by Chris Yates. Good recap of things to pay attention to when we lack a bit of experience. Lessons Learned The Hard Way, by Garland MacNeill. Ahhh, this feeling when you hit intro (or F5) and realize you just screwed up. Priceless. Indexing a HUGE Table, by Nate the DBA. Creative solutions for mere peons (aka Standard Edition DBA’s). Good one! Mistakes Engineers Learn, by Edwin M Sarmiento. One of the most important lessons, we are not just IT people, we are people and communication and team working is key. Lessons Learned The Hard Way, by Shane O’Neill. There are many options that won’t show in the GUI, so you might be missing something. What would you tell your younger self?, by Martin Catherall. Traveling in time, that sound useful, but with point in time recovery?. We have seen really good tips and (now from the distance) funny stories about mistakes. The important part of making mistakes is what you learn from them and like one of the blog posts suggest when there are job offers for candidates with a number of years, it’s exactly what companies look for, people you have made mistakes somewhere else, so they wouldn’t repeat them again. Just a few words to finish this month’s event and say a big THANKS to all participants and readers. I really appreciate the time you’ve taken to make this possible.